Recently we are into big size watches. How about you? Do you like it big or small or medium? 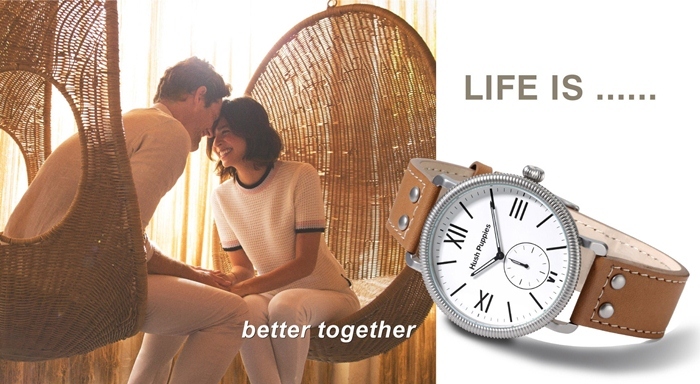 I observed that many women are wearing men’s watches, bigger in size and also the more sporty type. I never have any dark blue leather strap watch before so I find this fascinating, casual yet stylish from Hush Puppies Timepiece 1958 Series. I am sure when you think of the brand Hush Puppies the first thing that pop up in your mind is their casual and comfortable footwear. And that is Hush Puppies heritage since 1958. Over the years in addition to their footwear the brand extended their product categories to apparel, watches, bags and other accessories. And Hush Puppies timepiece were launched in 2002 and the collection is consistent with the brand attributes; casual, vintage, stylish and relevant. 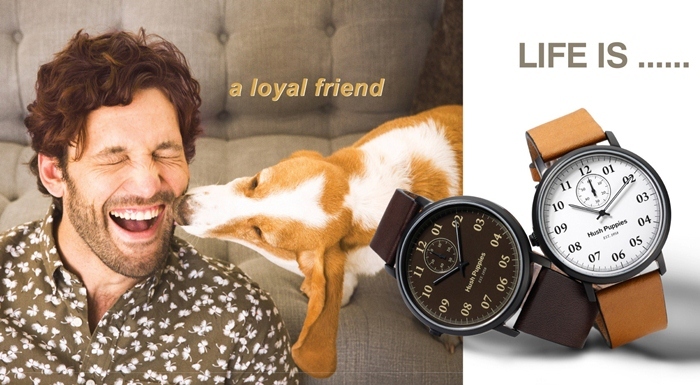 Well watch is from Hush Puppies Timepiece 1958 Series is named after the founded year. The vintage taste combining with casual style completes its unforgettable look. Although it’s casual and cool but it goes well with my white lace dress and also definitely fitted nicely on a denim day out. It comes with genuine leather strap and available in 5 designs or colors. I kind of like the simple overall look that makes it easy for me to check my time. The dark blue genuine leather strap is unique to me, something different from what I usually wear, so it will definitely catch some attention whenever I wear it. Here is the Orbz collection for the ladies. It is feminine at the same time very elegant with it slim strap. The Orbz collections is like a breath of fresh air that evokes a relaxed sensibility using natural materials and uncomplicated details. The Orbz Collection reveals contemporary designs that are fresh, easy going and free-spirited women. It is available in 4 colors / designs. The Signature collection for the ladies comes in the solid stainless steel material that looks very exclusive yet not over powering. This series is almost the definition of Hush Puppies. For decades, Hush Puppies has never changed the spirit of casual, natural and relaxed life style. 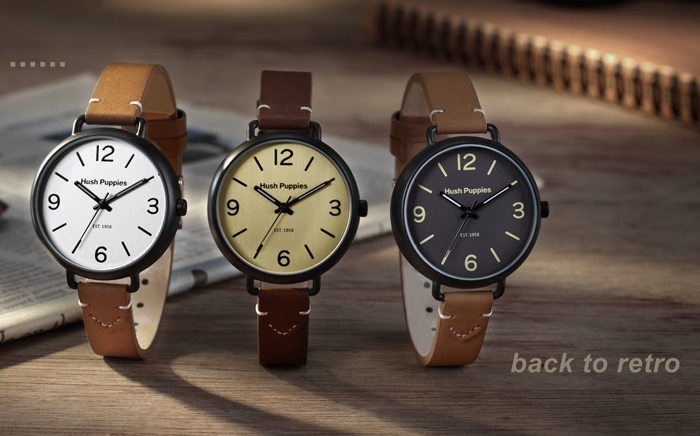 Here are more 1958 Series watches from the Men’s Collection, its Hush Puppies classic, vintage and retro designs. Overall the Hush Puppies Timepiece stays true to its brand concept. I like it the casual, stylish designs and affordable prices. It’s great for every day wear, durable and comfortable on the wrist as well. nice chic watch from hush puppies timepiece. i didnt even know they have watches before this. The watch is simple yet stylish. Suit for casual wear. Love the design. wow nice collection. will check for more detail as wanna know the price. I have a weakness for watches. I love them really big. Unfortunately, good watches don't come cheap and I always remind myself that pasar malam watches can tell the time just as well.